The 10 x 15 km wide Reporoa caldera, occupying the Reporoa-Broadlands basin, lies near the western margin of the Taupo volcanic zone SSW of the Okataina volcanic center.  Reporoa caldera formed about 230,000 years ago during the eruption of the voluminous ca. 100 cu km Kaingaroa Ignimbrite. Large slump scallops cut the northern caldera rim; on the south the rim is buried by sediments. The Deer Hill rhyolitic lava dome was erupted after caldera collapse on the southern rim; two other rhyolitic domes, Kairuru and Pukekahu, were emplaced within the caldera along a possible ring fault. The active Reporoa hydrothermal field lies within the caldera, and the Waiotapu and Broadlands (Ohaki) hydrothermal fields lie occur north and south of the poorly defined caldera margin. 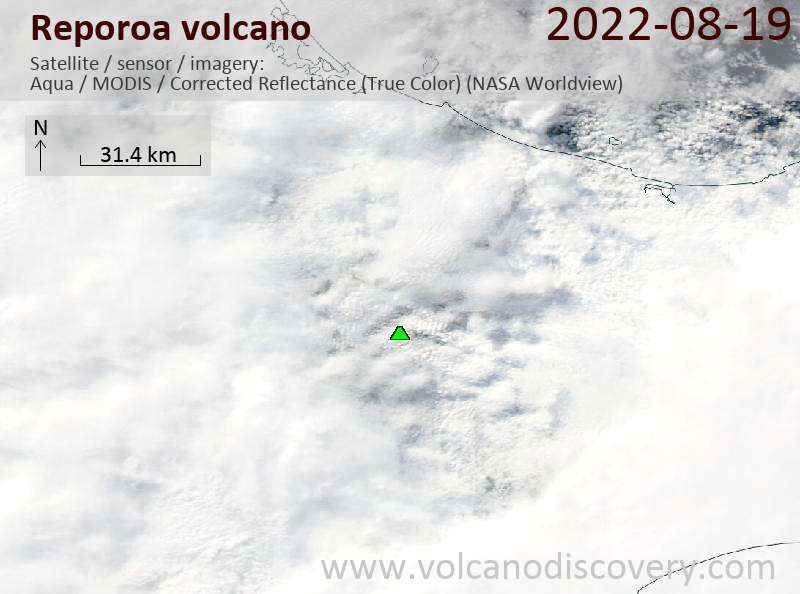 Eruptions within the caldera have not occurred since the late Pleistocene, but large hydrothermal explosions took place from the Waiotapu thermal area immediately to the north at the time of the Kaharoa eruption of neighboring Tarawera volcano about 770 years ago.